Wisk eggs in mixer and then add remaining ingredients. Batter will be semi thick. 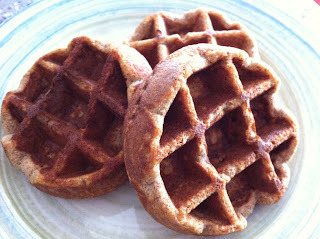 Cook in waffle iron for waffles or skillet for pancakes.